Be trained. Serve your country. Become a leader. Joining the Air Force Reserve Officer Training Corps propels you into a four-year leadership development program to prepare you to become an Air Force officer. Study Air Force history, leadership and management professionalism, national defense policy and international relations. Aim High. Fly. Fight. Win. 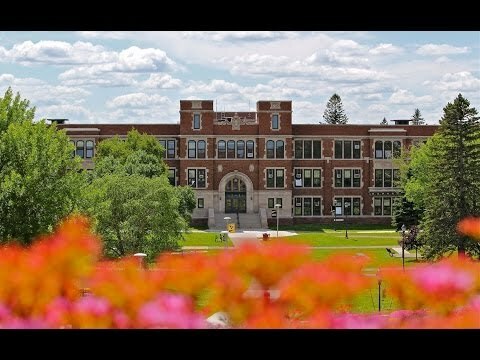 *Students enroll in courses through the University of Minnesota Duluth, but complete their major and earn their degree from UW-Superior. Develop and refine leadership skills through military-grade coursework and practicums. Become physically fit through labs and summer training. Study comprehensive national security affairs and the Air Force's organization, ethics, values and history. Develop and enhance oral and written communication skills. Be prepared to enter the Air Force upon graduation as a second lieutenant. Upon graduation, most cadets incur a four-year active-duty commitment. The Air Force offers opportunities in more than 100 career specialties, including business and health care. Many UW-Superior ROTC graduates have risen to the ranks of colonel and general and have served in important command roles in the U.S. and around the world. You can "try out" the ROTC program for two years without an obligation to serve in the Air Force after graduation. Scholarships for two to four years are available on a competitive basis and cover tuition, an annual textbook allowance, most lab fees and upon activation, a nontaxable monthly stipend during the academic year. Our self-designed major and minors enable you to work with an academic advisor to create your own specialized program of study.